Dogs can suffer from different types of anxiety, such as social anxiety (nervous and anxious around other dogs and/or humans), noise anxiety (afraid of loud or unusual noises, e.g. thunder, fireworks), and separation anxiety (afraid and anxious to be left alone). The long-term solution to all these three types of anxiety is proper positive training (desensitization), but the truth is, the training does take time and patience. While your dog is being trained, what can you do during one of his "anxiety attacks"? Conventional dog anxiety medication is usually some form of anti-depressants (e.g. Prozac). But we all know that these drugs could cause undesirable side-effects. 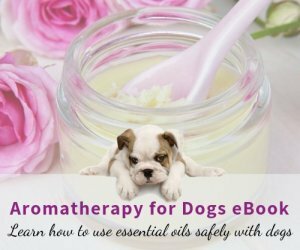 This page looks at how some natural calming remedies can be used to alleviate and lessen the symptoms of an anxiety attack in dogs. Herbs are excellent in calming nervous dogs suffering from anxiety. Herbs are mild and non-addictive, and they do not cause drowsiness after use! Even better, some nervous-calming herbs are nutritious tonics, providing additional support to our dogs' nervous system. Chamomile: Hands down, this is the most commonly used herb if people want to relax and sleep better. The good news is, chamomile can reduce anxiety in stressed dogs as well! It calms the nerve as well as induces sleep. You can give chamomile tea to your dog before a long drive or soak a treat in the tea. Passion Flower: This herb contains flavonoids that have anti-anxiety and relaxing effects. If your dog also suffers from insomnia due to anxiety, passion flower may help. Lemon Balm: This is a sedative herb that is effective in treating excitability and dog anxiety. Oat: Oat is an excellent nerve-calming herb and is nutritious as well. Cooked oatmeal can be added to your dog's food. Valerian: Valerian reduces tension, anxiety, overexcitability in dogs. Skullcap: Skullcap is effective for nervous tension. It also helps epileptic dogs. Echinacea: This herb has immune-strengthening qualities and can be used continually (in moderation) to boost the body's immune system under stress. St. John's Wort: This herb is well known for its ability to reduce stress and anxiety, and is commonly used by holistic vets to help alleviate anxiety and phobias in dogs. Siberian Ginseng (Eleutherococcus senticosus): It is an herb that helps the body adapt to stress more effectively by reducing cortisol levels and enhancing immune functions. Hemp (Cannabis sativa): CBD hemp has been found to be calming and soothing, and can be used to help relax dogs with anxiety. 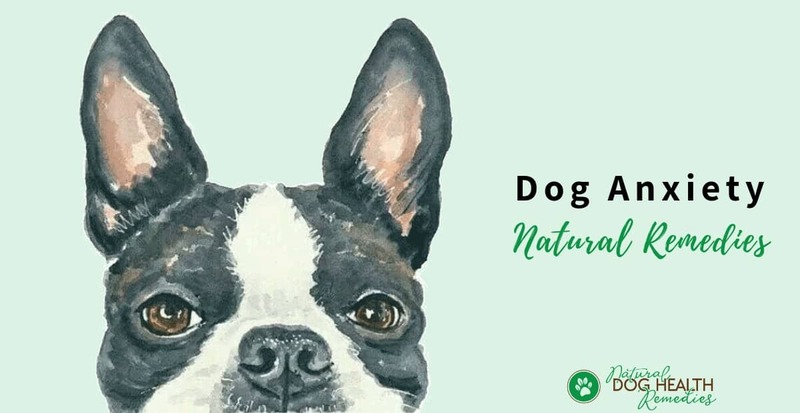 This natural herbal formula contains calming herbs such as chamomile, lemon balm, passion flower, and more and is effective in reducing dog anxiety and its accompanying unwanted destructive behaviors. It also contains echinacea to boost the dog's immune system. This product is made from organic hemp grown in the USA. It is safe for dogs and effective in calming dogs with anxiety and stress. Calming essential oils (e.g. Roman chamomile, Lavender, Bergamot) can also be used to calm an anxious dog. For small dogs or those who are too sensitive to essential oils, try using hydrosols. These calming medallion are infused with the essential oils of valerian and lavender, both are calming and relaxing. The medallion can be easily put on a dog's collar, so the dog can remain calm and relaxed throughout the day. Homeopathic remedies are also effective in calming nervous dogs with anxiety problems. For homeopathic remedies, the effect is almost instantaneous (which is what we want!). So, if your dog suffers from anxiety caused by noise (such as thunder), or if she becomes nervous in a car, keep one or more of the following remedies handy so that you can administer the remedy to your dog before any upcoming stressful event. Dogs needing this remedy are easily startled by sudden noises, such as gunshots. They are also fearful of downward motion. For example, they may panic when you place them on the floor after holding them; or they may have a strong resistance in going down stairs. This remedy (from chamomile) can be given in low potency to calm a dog suffering from anxiety. Usually, the dog is irritable and restless, and has to be carried all the time - she will whine and become restless the moment she is put down. This remedy (from passionflower) has calming properties but not a sedative. It is effective in calming frightened animals and is good for travel and other stressful situations. 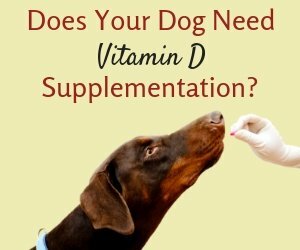 Dogs needing this remedy can be startled easily. They may generally be sweet and gentle, but in threatening or stressful situations (such as at the vet's), they may become explosive. They fear thunder and lightning and other loud noises. Dogs that require this remedy are sensitive to stormy weather and are afraid of thunderstorms. The symptoms usually worsen before a storm. This is a homeopathic formula contains borax, chamomilla, phosphorus, and rhododendron - all effective in calming a nervous dog. L-theanine: L-theanine is a free (non-protein) amino acid found almost exclusively in tea plants and is the predominant amino acid in green tea leaves. L-theanine has been found to directly stimulate the production of alpha brain waves, creating a state of deep relaxation. It is being used effectively as a calming supplement in people. Thiamine: Thiamine, or thiamin, is a water-soluble vitamin of the B complex (vitamin B1). It has been shown to affect the central nervous system. In particular, it helps to calm and soothe anxious animals. A deficiency of thiamin has been found to cause irritability in animals. Because thiamine is not stored in the body, increased activity, stress, illness, or increase metabolism depletes its levels in the body. Decapeptide: Decapeptide is isolated from the milk protein casein and is known for its calming effects. This is a natural product that contains L-theanine, thiamine, decapeptide, and lecithin (which is also calming to the nervous system). Many dog parents have successfully used this composure liquid to calm their dogs with anxiety. Good news for Fido! There are also treats that contain calming ingredients such as L-theanine, hemp oil, passionflower, valerian root, chamomile, etc. to help calm an anxious dog. As dogs are individual beings, they react differently to these ingredients - some dogs may respond more positively to one treat than others. So the key here is to try out different treats and see which one works well for your dog. Many dog parents have also found success in using relaxing and soothing music to calm down a dog with anxiety. In some shelters, music has been found to have a calming effect on stressed and hyperactive dogs. Here are some music especially for calming anxious dogs. Maybe it's worth a try! Research has shown that anxiety jackets (such as ThunderShirt®) can significantly reduce symptoms of anxiety in dogs (e.g. increased heart rate, pacing, tongue-flicking, yawning). The moderate pressure from the jacket (or blanket) simulates the feeling of a reassuring hug, so the animal can feel relaxed and calm down in stressful situations, such as thunderstorms, car rides, etc. According to surveys done by ThunderShirt®, customers and veterinarians alike selected ThunderShirt as the best solution for calming dogs with anxiety. 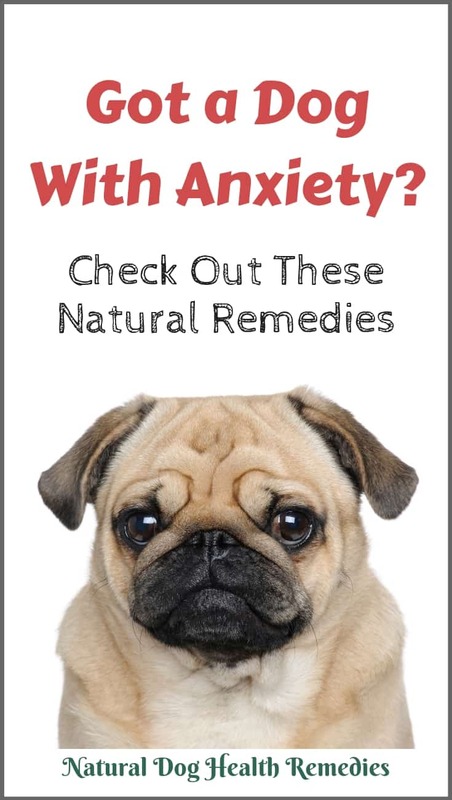 As you can see, there are quite a few natural remedies for anxiety in dogs that you can try. As mentioned above, all dogs are different and while one solution may work perfectly well for Fido, it may not have the desired effect on Rover! Therefore, don't hesitate to try out different solutions to find one (or several) that works best for your dog. Also, don't forget desensitization training to help your dog overcome his anxiety. 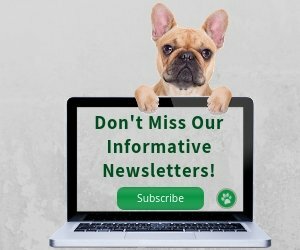 Read these pages to find out how to desensitize your dog from having panic attacks causes by Noise and Social Anxiety, and Separation Anxiety.